We are Addicted to the Iditarod! Following the Iditarod has been so much fun. 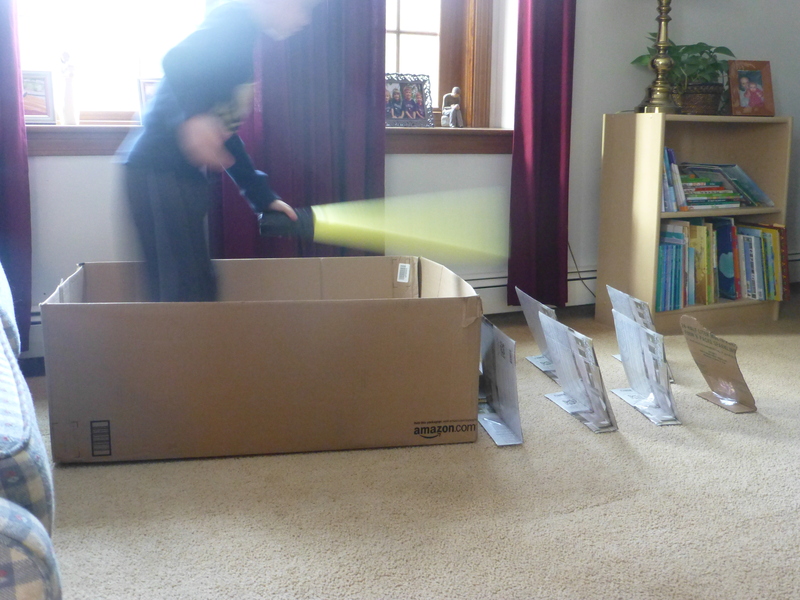 Iditarod Fever has swept through the house and we can’t get enough. The GPS feature that we paid for on the Iditarod website is INCREDIBLE. We can follow the 12 Mushers that our family picked, track their location, speed, rest vs. run time, the temperature and so much more. We also added the Insider Video feature to our subscription and can watch check point interviews and so much more. We check their progress multiple times a day and chat about their possible strategies…we are loving the Ididtarod! Every night at dinner we check the standings and move the cards on our leader board. Wally shares the standings and stats for each Musher. After dinner he jumps in his “sled” and races the 7 paper dogs he created. 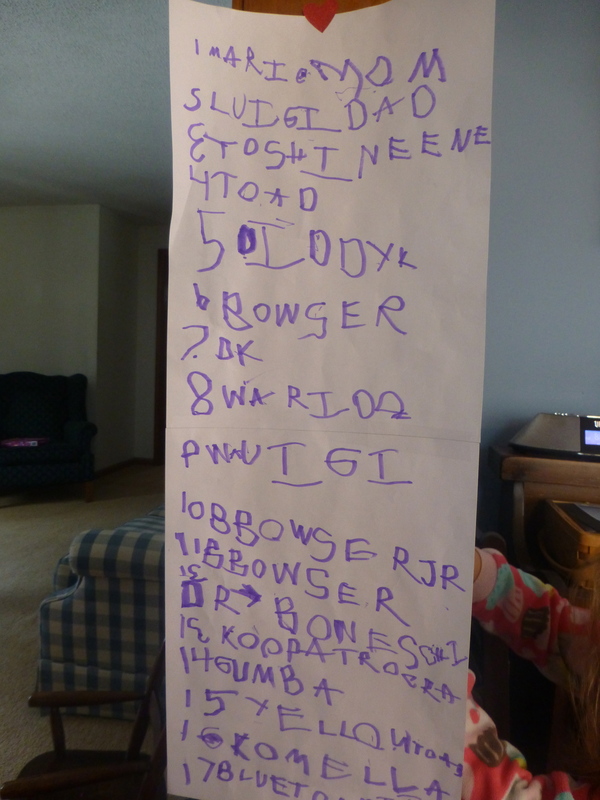 He has a “Mario Iditarod” going on with Mario, Luigi, Toad and the gang racing. He asked us to pick our favorites and each day we cheer them on. We are also creating our own Insider Video of his race. It has been fun to see Wally and Eva incorporate the Iditarod Race into their play. They each have sleds, dog teams, made bib numbers for themselves, have packed their sleds with supplies and even play “Check Point”. Wally will have a clipboard and ask Eva how many dogs she has, what her bib number is and if she is planning on staying. It is super cute! We are having so much fun this year following the Iditarod. I love that the real race is sport for anybody. It doesn’t matter if you are young or old, male or female…anybody with a great team of dogs, a lot of drive and maybe a little luck can win this. It truly is the Last Great Race. I have a little boy here who now wants to be a Musher when he grows up. I told him this dream would require him to get over his phobia of dogs. He said that he would only allow dogs on his team that don’t bark. A boy can dream!